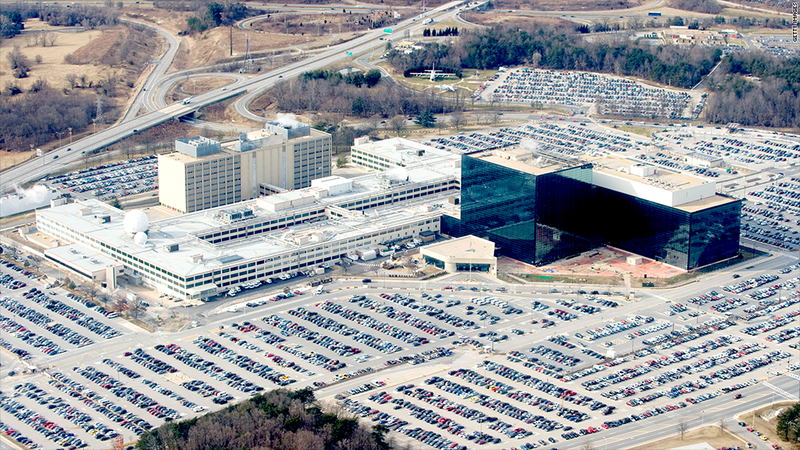 The budget of the National Security Agency, located in Fort Meade, Md., is classified but experts say it's likely to be at least $10 billion a year. The National Security Agency's activities are classified. And so is its annual budget. As a result, it's impossible to say exactly how much money the NSA is given to conduct its surveillance efforts -- which Americans learned this week has recently included collecting phone call data and monitoring online activities. That's because the NSA, a Defense Department agency created in 1952, falls under the category of a "black" program in the federal budget, a term applied to classified efforts. The NSA is one of at least 15 intelligence agencies, and combined the total U.S. intelligence budget in 2012 was $75 billion, said Steve Aftergood, director of the government secrecy program at the Federation of American Scientists, a nonpartisan think tank that analyzes national and international security issues. The intelligence budget includes funding for both classified and unclassified activities. Funding for classified programs has tracked the upward trend in defense spending over the past decade, according to an analysis of fiscal year 2012 Defense Department budget request by Todd Harrison of the Center for Strategic and Budgetary Assessments. Aftergood estimates about 14% of the country's total intelligence budget -- or about $10 billion -- goes to the NSA. His reasoning: In 1996, the NSA budget was leaked, and it accounted for about 14% of the budget that year. "I am confident that the real figure is within $2 billion of that $10 billion estimate," he said. Gordon Adams, a former White House budget official for national security, said he wouldn't be surprised if NSA's resources are "well north" of $20 billion a year. "It is all classified, so real numbers are impossible to obtain," said Adams, now a fellow at the Stimson Center. Unlike other parts of the federal budget, which are debated openly on Capitol Hill, classified intelligence programs and their funding are not. "Several years ago Congress opened the black budgets to a wider congressional audience. When I first started almost no one knew and the budget was not ever discussed outside of an exceedingly small group," said Steve Bell, who served on the Hill for 25 years, including as staff director of the Senate Budget Committee. Today, Bell said, members of the appropriations and intelligence committees along with some members of leadership are those most likely to know how much of the budget goes to NSA and other classified intelligence programs.